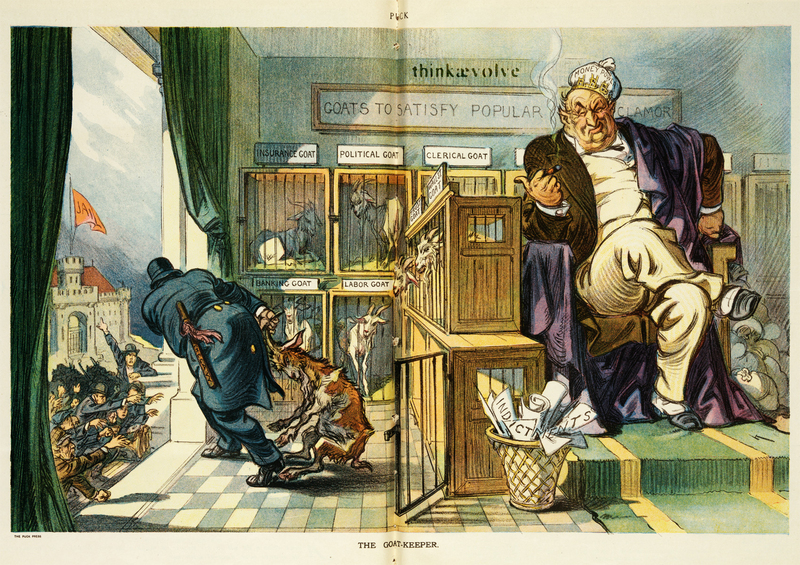 Summary: Illustration shows a man wearing a crown labeled “Money Power”, sitting on a throne at his place of business labeled “Goats to Satisfy Popular Clamor”, among goats in cages labeled “Insurance Goat, Political Goat, Clerical Goat, Banking Goat, Labor Goat, Trust Goat, [and] Wall St. Goat”, and at his feet is a wastebasket filled with papers labeled “Indictments”; a policeman labeled “The Law” is dragging a goat toward a crowd reaching for someone or something to blame, with one man pointing to a “Jail” in the background. 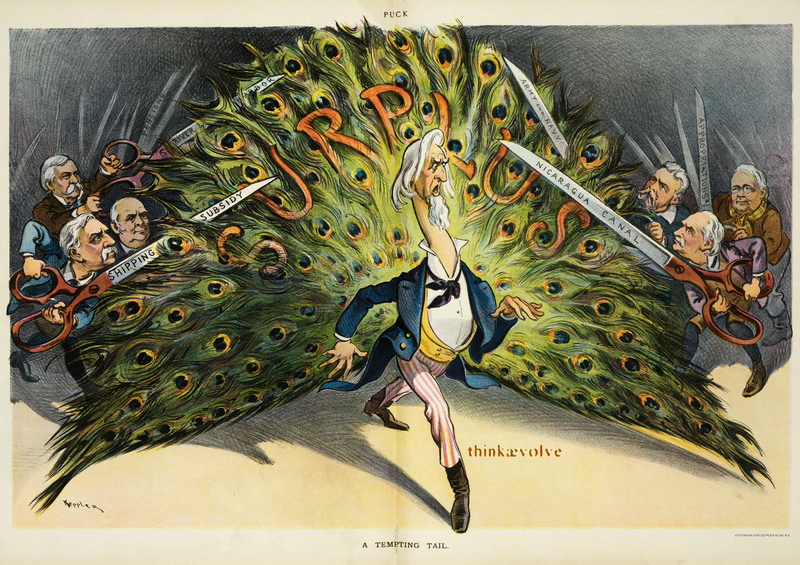 Summary: Illustration shows Uncle Sam as a peacock displaying his tail feathers which are labeled “Surplus”. 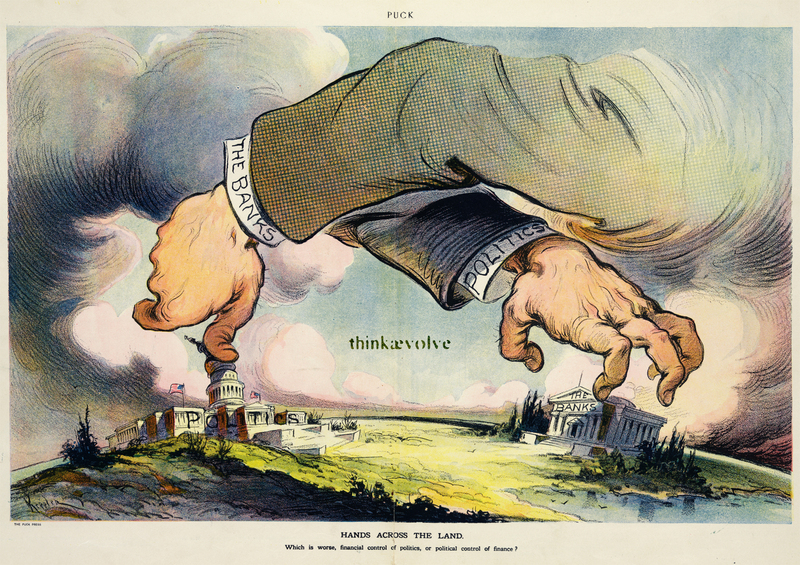 There are men on the right and the left with large scissors labeled “Shipping Subsidy, Rivers & Harbors, Nicaragua Canal, Army and Navy, [and] Appropriations” which they are using to trim Uncle Sam’s tail feathers. 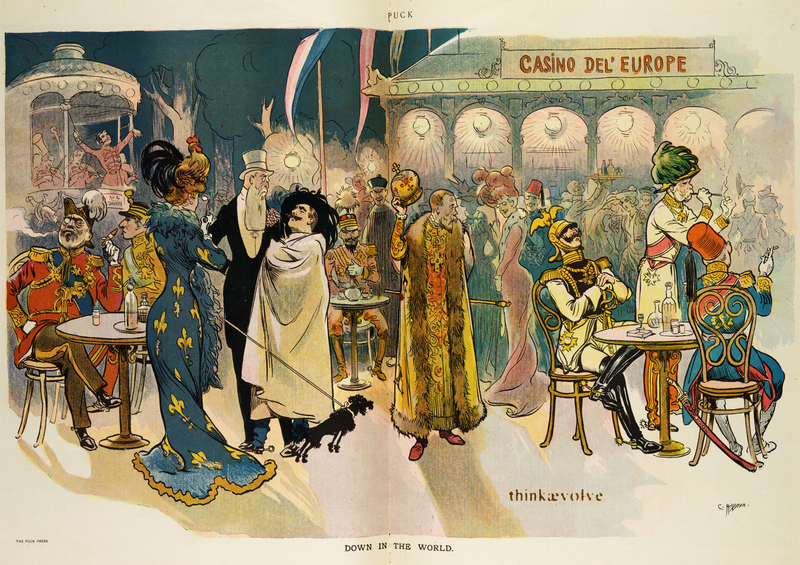 Summary: Illustration shows European leaders from England, France, Italy, Japan, Russia, Germany, Austria, and Turkey, among the crowd enjoying the entertainments at the “Casino Del’ Europe”. A habitual attitude of skepticism or resistance to the suggestions, orders, or instructions of others. Behavior characterized by persistent refusal, without apparent or logical reasons, to act on or carry out suggestions, orders, or instructions of others. The theory that laws are to be understood as social rules, valid because they are enacted by authority or derive logically from existing decisions, and that ideal or moral considerations (e.g., that a rule is unjust) should not limit the scope or operation of the law. The state or quality of being positive : in this age of illogical positivism, no one wants to sound negative.